What if I am not sure which day we want to rent a boat? We get this question a lot. We understand you’re on vacation and want to “go with the flow”. 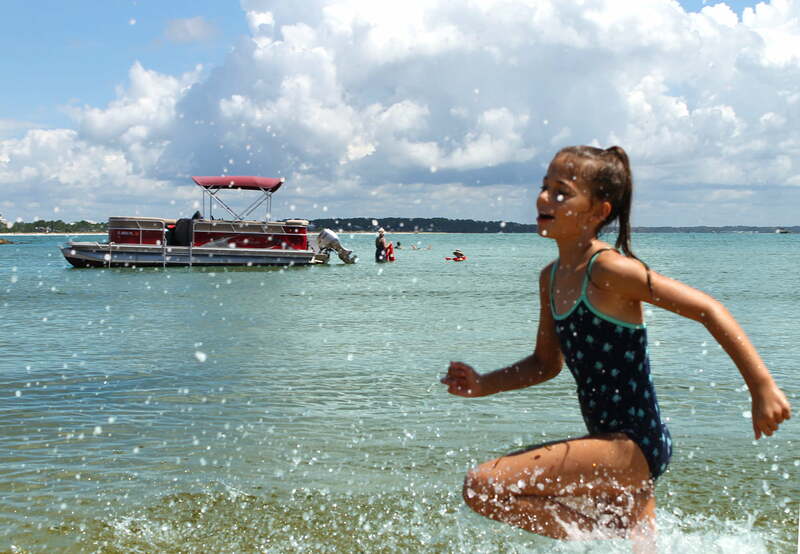 Our pontoon rentals let you do just that. 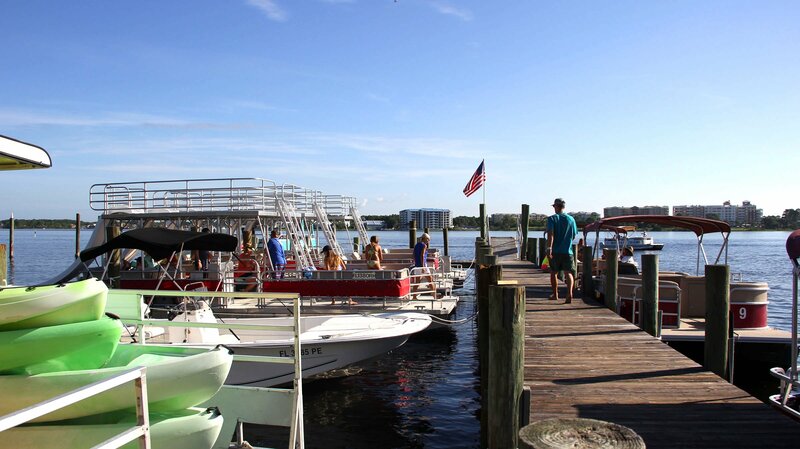 The best answer we can give is to make a reservation for early on during your visit as our pontoons are one of the most popular attractions in Panama City Beach. 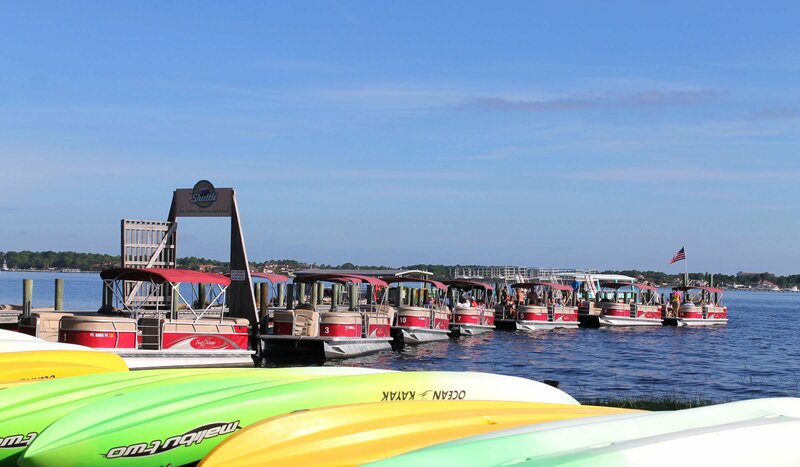 If inclement weather hits, you will be given priority for rescheduling to ensure you don’t miss out on a spectacular day on the water. If you must cancel, you can do so for any reason. If you do not cancel within 24 hours you will be charged full price (Unless you have to cancel for bad weather), to ensure others can enjoy the experience. 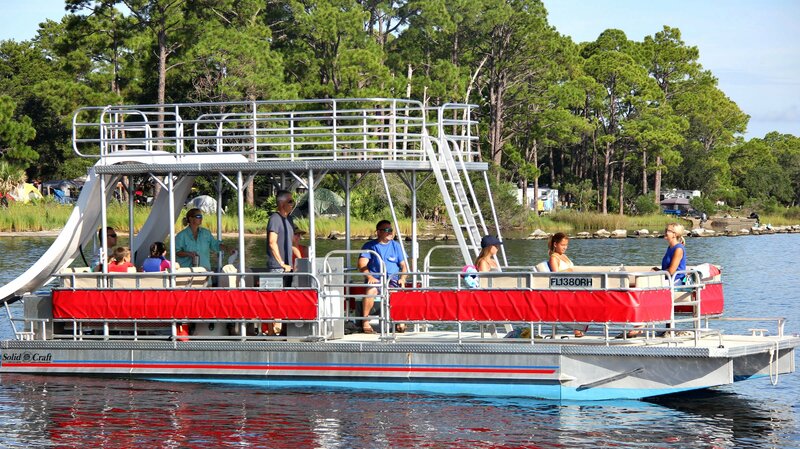 What are the attractions of renting a pontoon? You’re the Captain so “go with the flow” and do as much or as little as you like. 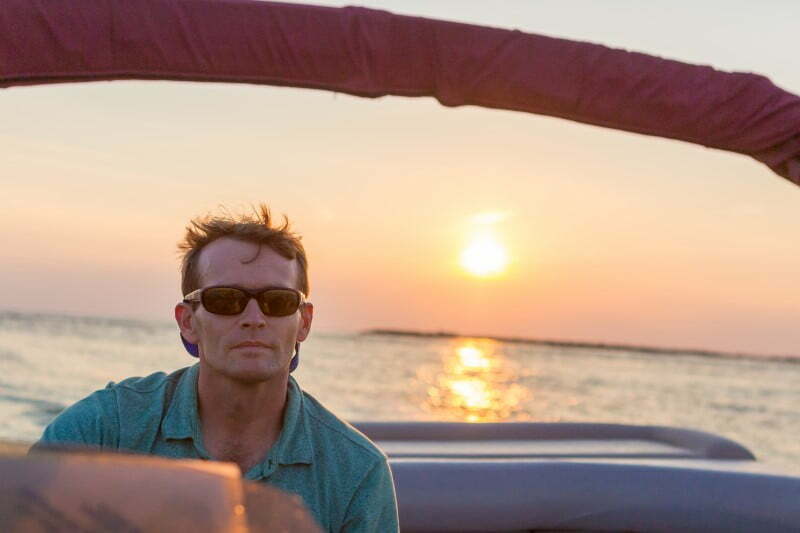 Whatever you decide, you won’t regret your time on the water. 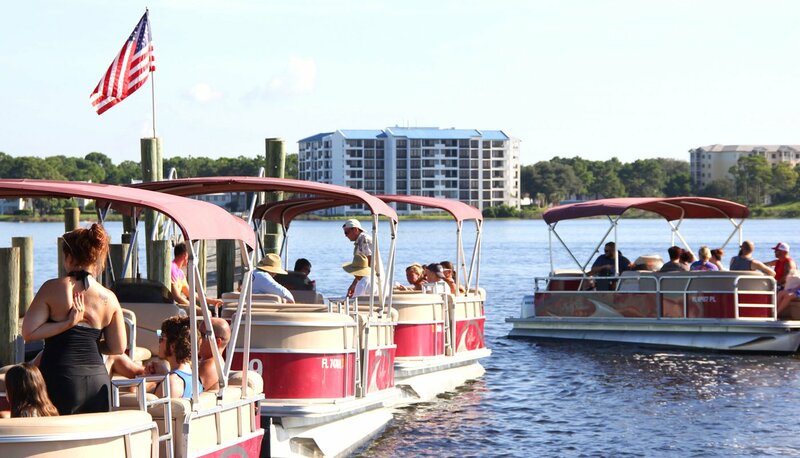 Our pontoons are just as popular with the locals as they are for our visiting guests for all of the reasons mentioned above. Do I need previous boating experience to operate a pontoon? Not at all. 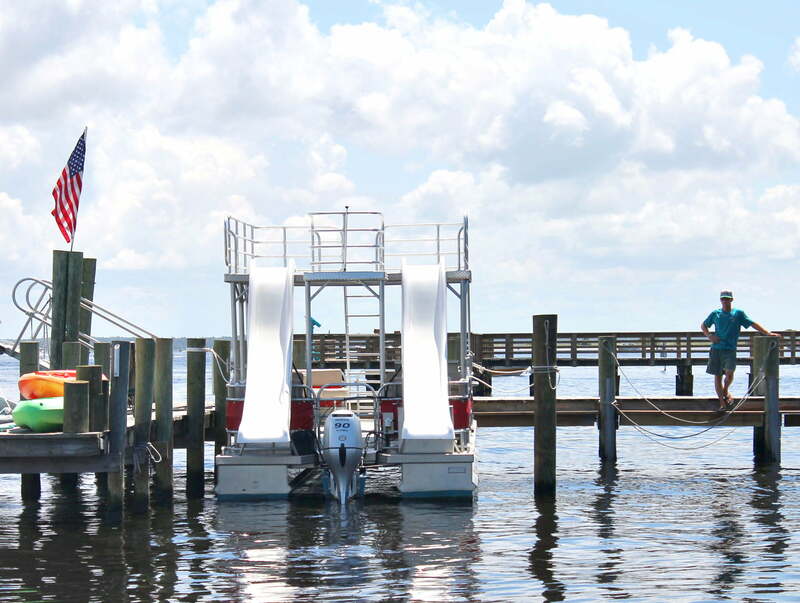 Our pontoons are easy to operate and safe. We’ll give you a quick rundown of all of the USCG safety equipment on board as well as a map of the area and some secret insider tips on the best locations. If you can tell forward from reverse, you’ll do just fine driving a pontoon. The kids will love helping, too! How do I reserve a pontoon boat? 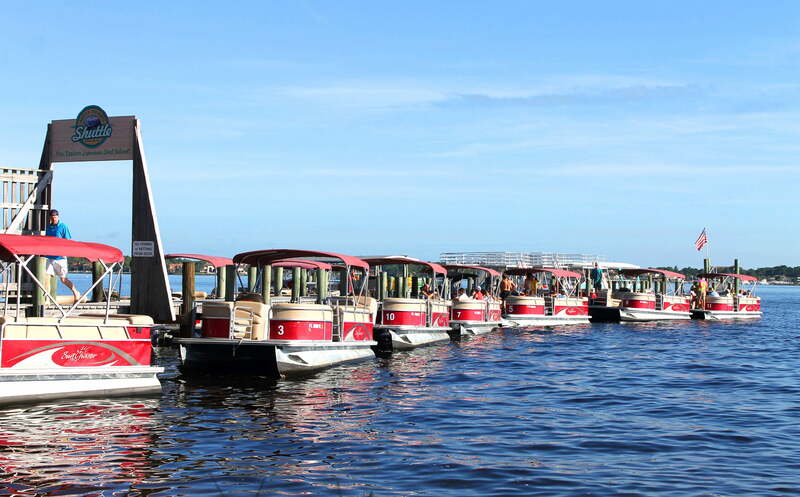 How many people can your pontoon boats hold? Bring the whole gang! 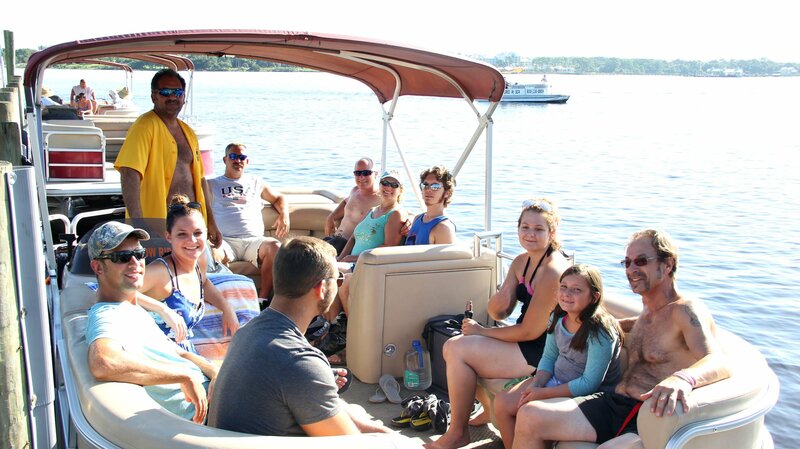 All of our pontoon boats can hold up to 10 people which makes them a great way for your entire group to spend the day together. If you have more than 10 people, consider getting two boats. 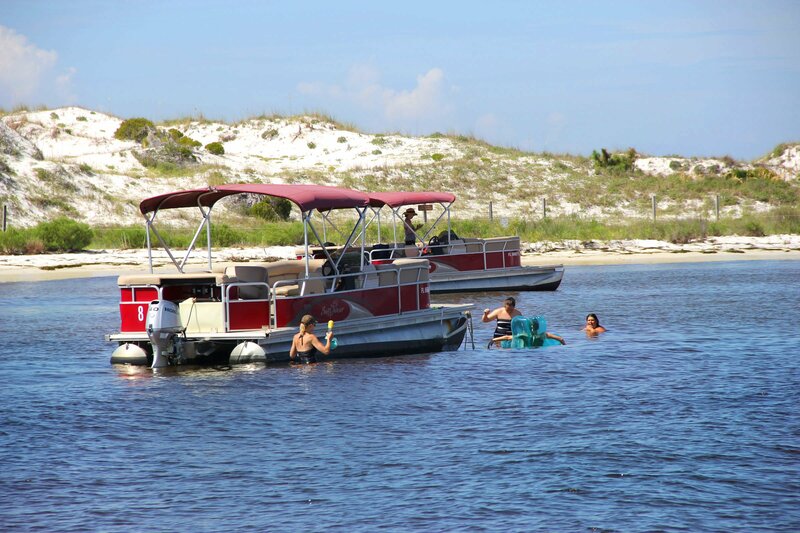 Our pontoon boats are a great value! 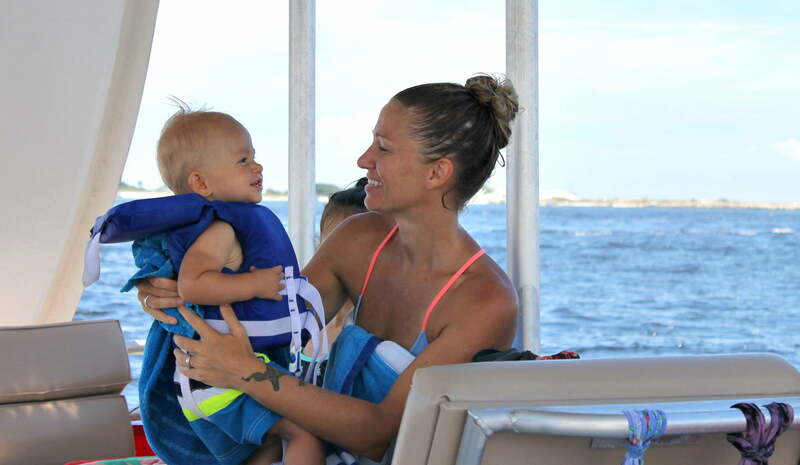 Are pontoon boats safe for kids? Yep. 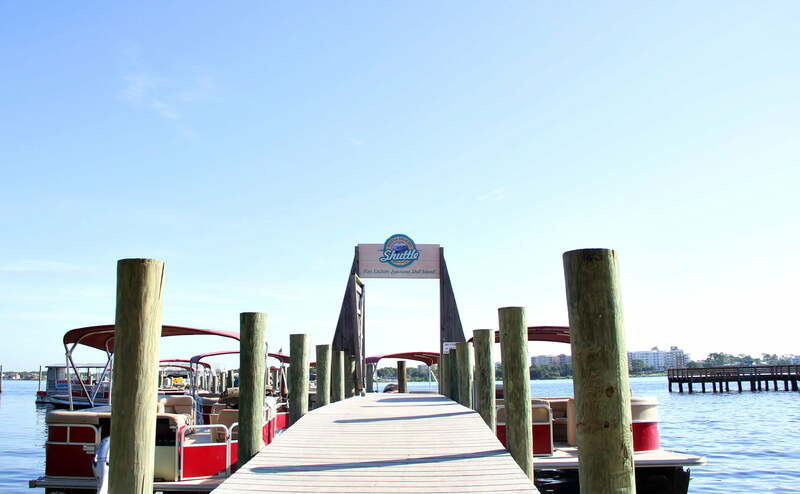 Our pontoons are safe for everyone, including pets! 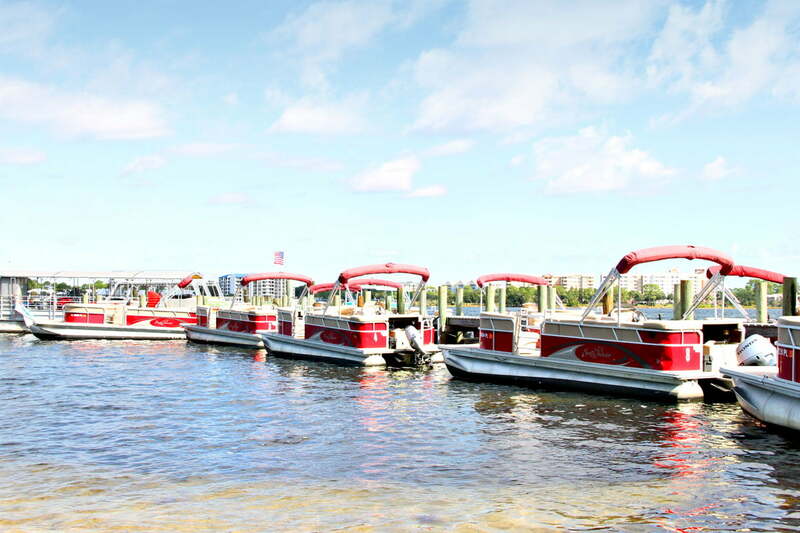 You’ll find all of our pontoons are fully loaded with USCG safety equipment and offer an extremely smooth and stable ride. 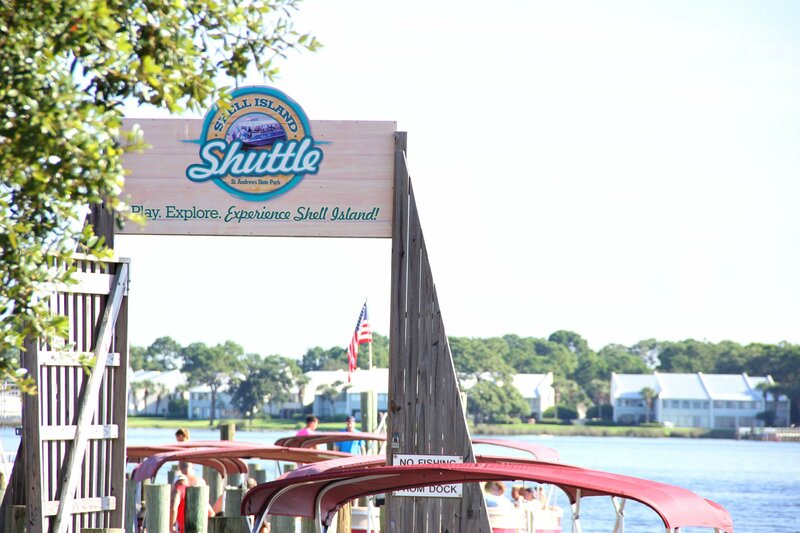 Kids love this adventure and will enjoy helping you drive, seeing the dolphins, finding starfish and collecting shells for souvenirs. 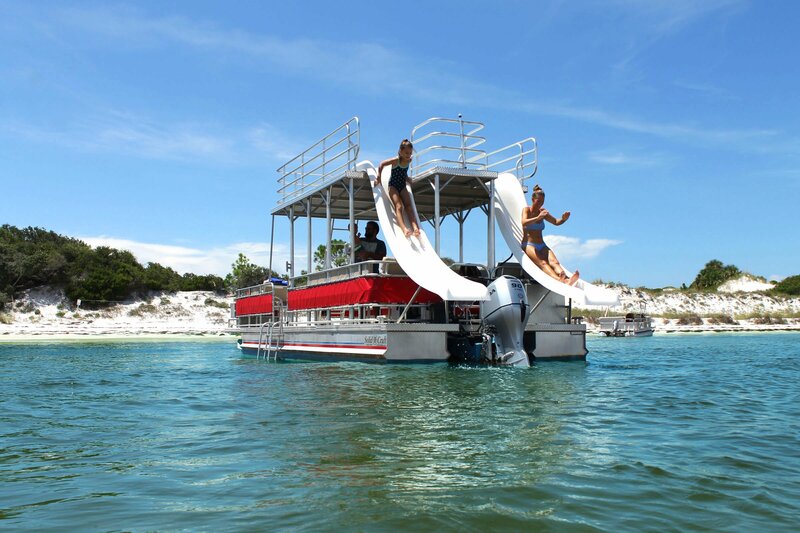 What’s the minimum age for renting a pontoon boat? 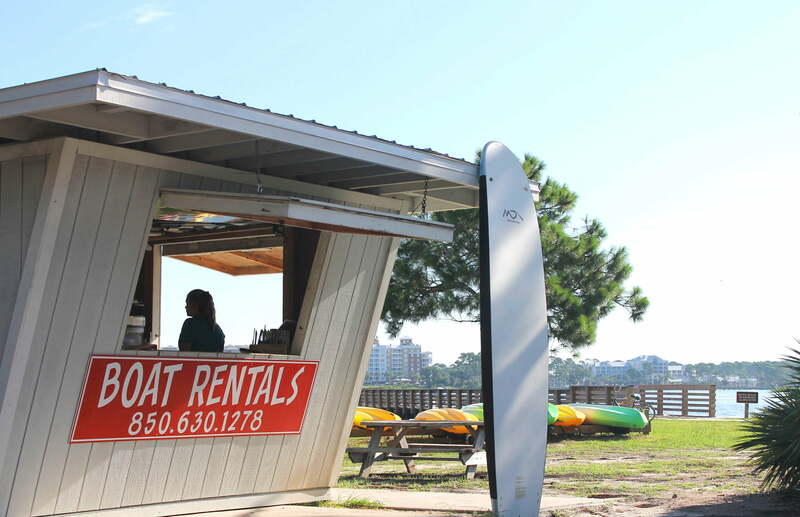 You must be born before 1988 to or at least 21 with a Florida boaters license rent any watercraft in Florida. Any age can go along for the ride. 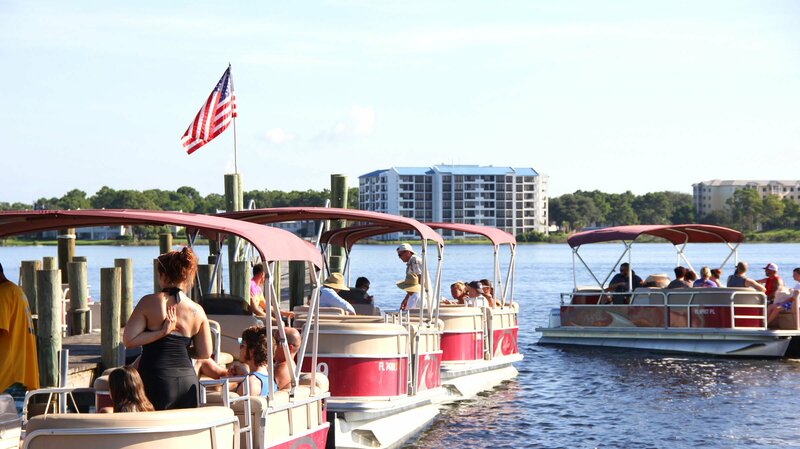 What’s included in your pontoon boat rentals? 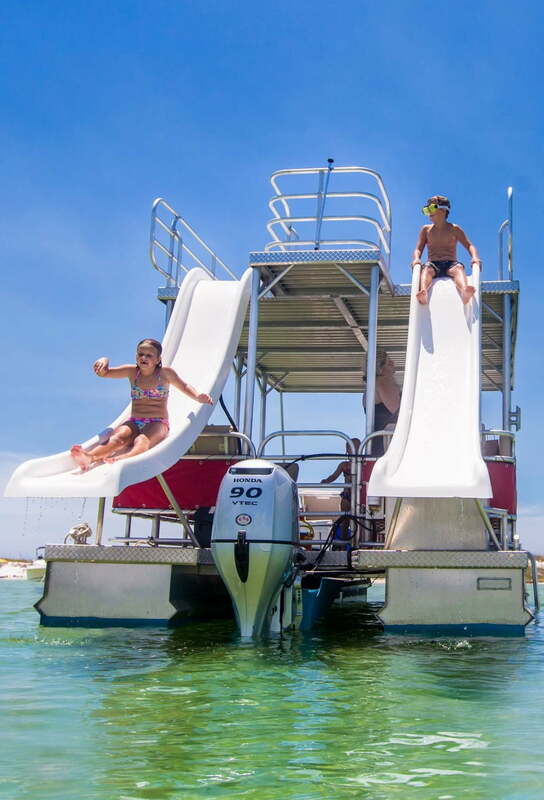 Our pontoon boats are supplied with all the gas you need included in the price so there are no hidden fees or extra charges. 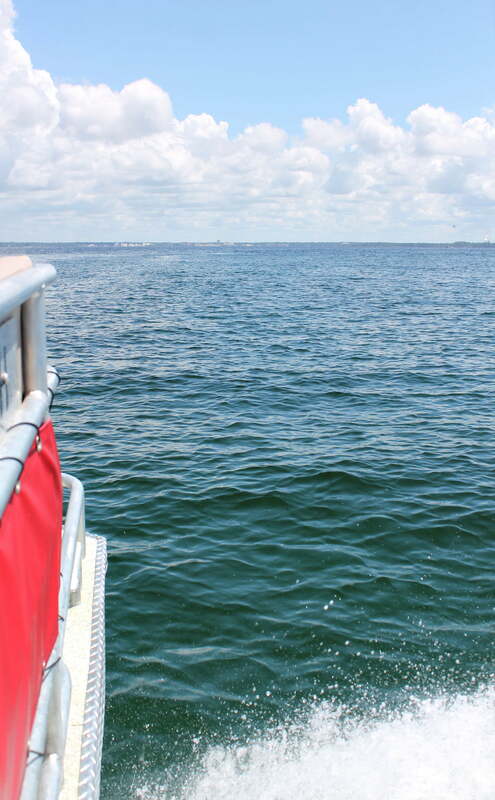 All of our boats are fully equipped with USCG safety equipment and retractable bimini tops to help keep you in the shade if you want. 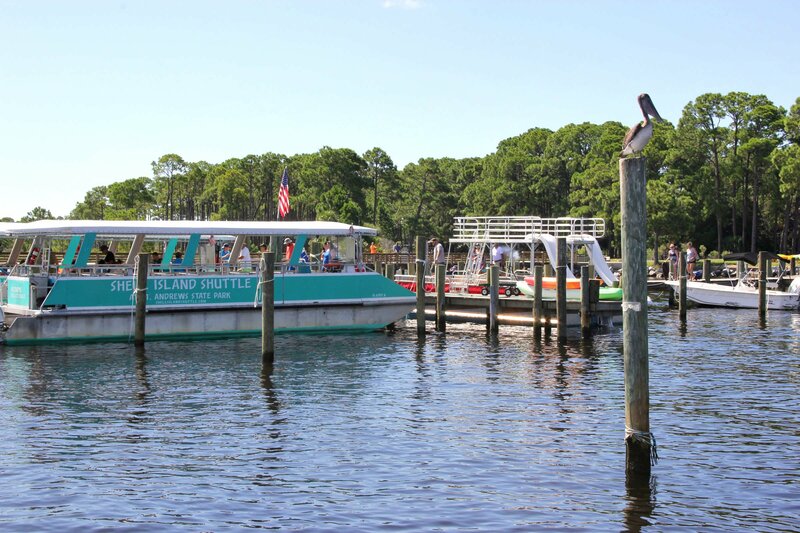 We also include a map of the area and helpful tips to make your day on the water an adventure you won’t forget. 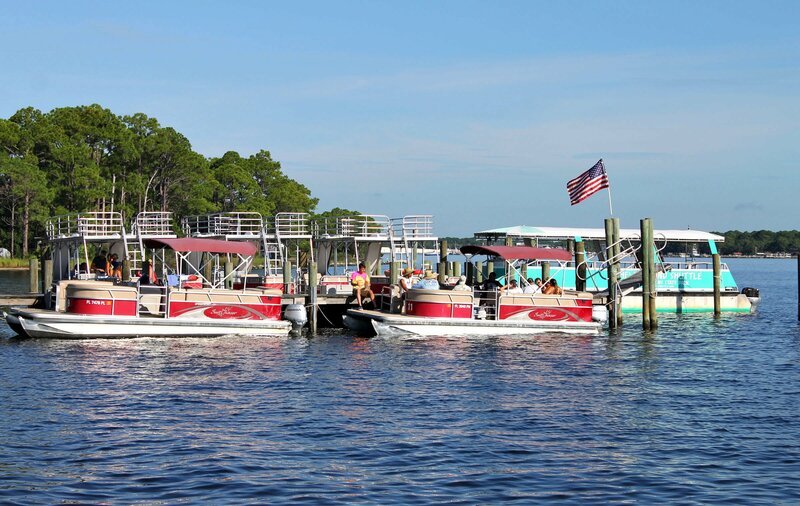 Thank you for visiting St. Andrews State Park Pontoon Boat Rental FAQs page if you have any other questions on renting a pontoon boat, please give us a call at 850-630-1278. 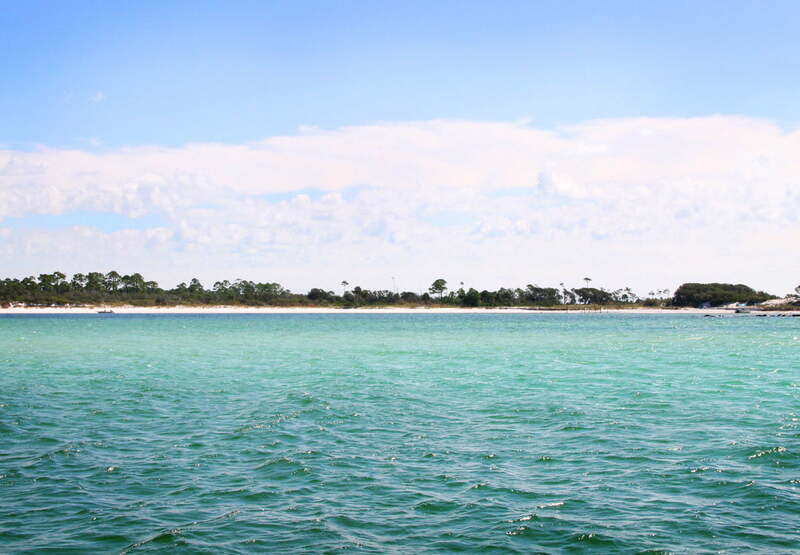 Oh by the way we are the closest boat rental place in Panama City Beach to Shell Island.